Our Most Important Acto fo the Day! Spontaneous and whole-hearted consecration is the flower of real love. For the moment, we may not be called upon to pour forth our sweat and blood on the battlefields of apostleship, but we can PRAY! Our prayers, penances and good works are a power. Our prayerful army of penitent souls whose supplications and sacrifices daily ascend to God is a great strength to the Mystical Body of Christ. Before God, prayer is more powerful than an arm of steel. The salvation of another man’s soul may depend upon me. God gave to every man the command of loving his neighbor. On Golgotha, Christ looked down on His little flock, composed of the 3 Mary’s and St. John. 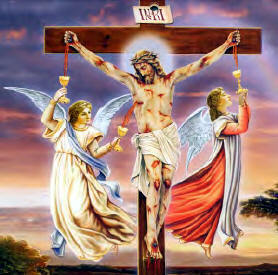 Please God, give me the courage to keep vigil with them at the foot of the Cross. 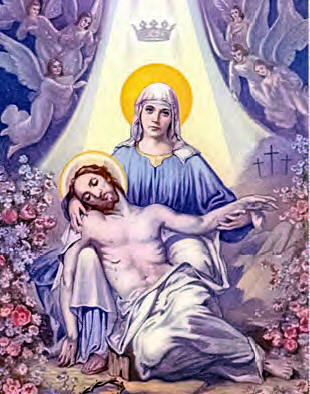 Everyone who asks receives!Beneath the Cross, the Mother of God did what you do in the Morning Offering: She gave to God all that she had for the salvation of souls. Every sacrifice is an act of adoration and reparation. While the ritual of prayer is not the sacrifice, the offering of it is. In our prayer of adoration, we admit our dependence on God and God’s absolute rights over us. 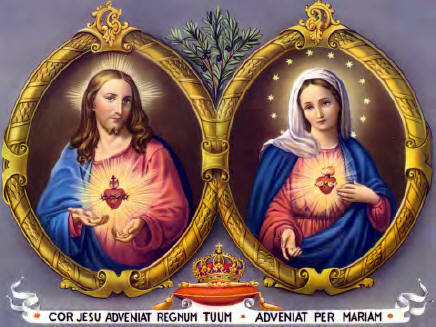 In the Morning Offering, we give our life over to God through the Immaculate Heart of Mary. Christ is the Head of the Mystical Body; Mary is its Heart! Make faithfully and Fervently your Morning Offering. It is the most Important ACT of your day! This entry was posted on Friday, March 23rd, 2012 at 4:03 pm and is filed under NewsFlash, Saint Philomena. You can follow any responses to this entry through the RSS 2.0 feed. Both comments and pings are currently closed.